SoftBank Group Corp. (ソフトバンクグループ株式会社, Sofutobanku Gurūpu Kabushiki-gaisha) is a Japanese multinational telecommunications and Internet corporation, established on September 3, 1981 and headquartered in Tokyo. It has operations in broadband, fixed-line telecommunications, e-commerce, Internet, technology services, finance, media and marketing, semiconductor design, and other businesses. The company is headed by founder Masayoshi Son. SoftBank was ranked in the Forbes Global 2000 list as the 62nd largest public company in the world, and the third largest public company in Japan after Toyota and Mitsubishi UFJ Financial. Between 2009 and 2014, SoftBank's market capitalization increased by 557%, the fourth largest relative increase in the world over that period. SoftBank bought COMDEX from The Interface Group in 1995, and in 1999 allowed organizers of COMDEX to restrict admission of media, creating a spiraling effect. They eventually sold COMDEX to Key3Media, a spin-off of Ziff Davis, in 2001. On January 28, 2005 SoftBank became the owner of the Fukuoka SoftBank Hawks, a Nippon Professional Baseball team. On March 17, 2006 SoftBank announced its agreement to buy Vodafone Japan, giving it a stake in Japan's $78 billion mobile market. In April 2006 they bought a 23% stake of Betfair, an Internet betting exchange. In August 2006, SoftBank sold all its shares of SBI Group to a subsidiary of SBI's holding company, making SBI independent. On October 1, 2006 Vodafone Japan changed its corporate name, mobile phone brand name, and its mobile phone domain name to SoftBank Mobile, SoftBank, and [mb.softbank.jp] respectively. On January 28, 2008 it was announced that SoftBank and Tiffany & Co. collaborated in making a limited 10 model-only cellphone. This cellphone contains more than 400 platinum diamond, totaling more than 20 carat. 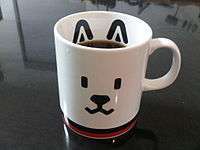 The cost is said to be more than 100,000,000 yen. On February 3, 2010 SoftBank acquired 13.7% in Ustream with the option to increase shares to 30% by July 2011. On October 1, 2010 Ayumi Hamasaki became the commercial spokesperson. On October 3, 2012 the take over of competitor eAccess was announced, and was completed in January 2013. On July 1, 2013 – SoftBank announced that Willcom became a wholly owned subsidiary effective July 1, 2013, after termination of rehabilitation proceedings. eAccess was merged with Willcom, which resulted in a new subsidiary and brand from Yahoo! Japan, Ymobile Corporation. On October 15, 2012 SoftBank announced plans to take control of American Sprint Nextel by purchasing a 70% stake for $20 billion. On July 6, 2013, the United States Federal Communications Commission approved SoftBank’s acquisition of the Sprint Corporation for $22.2 billion for a 78% ownership interest in Sprint. The acquisition involved payment of $17.2 billion in cash to Sprint shareholders, with the balance $5 billion as capital contribution. The transaction was financed by the way of cash and a bridge loan from a consortium of banks. On August 6, 2013 bought 2% more shares of Sprint Corporation, increasing its ownership stake in the company to 80%. In October 2013 SoftBank acquired an 51% of stake in Supercell for reported $2.1 billion. Later on October 25, 2014 they invested $210 million in OlaCabs, $627 million in Snapdeal with 30% stake in the company on October 28, 2014, and a $100 million investment in Housing.com with 30% stake in the company in November 2014. In 2014 SoftBank co-designed the Pepper, a humanoid robot, with Aldebaran Robotics. In 2015 SoftBank acquired DramaFever. In May 2015, Masayoshi Son said he would appoint Nikesh Arora, a former Google executive, as Representative Director and President of SoftBank. Arora has been heading SoftBank's investment arm. On June 1, 2015 SoftBank acquired an additional 22.7% stake in Supercell, owning total 73.2% of the company and becoming the sole external shareholder of the company. In July 2015, SoftBank announced the renaming of the company from SoftBank Corp. to SoftBank Group Corp. Meanwhile, SoftBank Mobile was renamed to SoftBank Corp., the now former name of the company as a whole. In June 2015, SoftBank announced it would invest US$1 billion in the Korean e-commerce website Coupang as part of its overseas expansion plans. On February 16, 2016, SoftBank announced they would rebuy a record 14.2% of shares, valued at $4.4bn, in order to boost investor confidence. On March 31, 2016 they announced they would sell shares worth $7.9 billion of their stake in Alibaba Group. On June 21, 2016 SoftBank sold its 84% stake in Supercell for reported US$7.3 billion to Tencent. In June 2016, Nikesh Arora stepped down as president of SoftBank amidst pressure from investors. Board member Ron Fisher and Baer Capital Partners founder Alok Sama stepped in to manage Arora's overseas investment duties. Just a month later, Son announced the company's largest deal ever to buy British chip designer ARM Holdings for more than US$32 billion. This acquisition was completed on September 5, 2016. SoftBank's corporate profile includes various other companies such as Japanese broadband company SoftBank BB, data center company IDC Frontier, gaming company GungHo Online Entertainment, and the publishing company SB Creative. 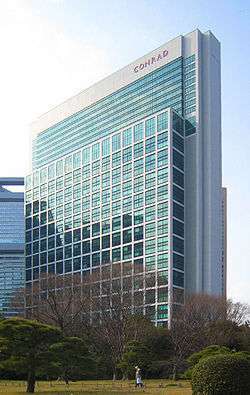 SBI Group is a Japanese financial services company that began in 1999 as a branch of SoftBank. Ymobile Corporation is another telecommunications subsidiary of SoftBank, established in 2014. In 2010 SoftBank founded Wireless City Planning (WCP), a subsidiary that will see the development of TD-LTE networks throughout Japan. SoftBank also operate SoftBank Capital, a U.S.-based venture capital company. The COMDEX expo in the U.S. was owned by SoftBank from 1995 to 2001. Since 2005 SoftBank also owns the Fukuoka SoftBank Hawks professional baseball team. SoftBank also operates in the eco-power industry through its SB Energy subsidiary. Additionally, it has various partnerships in Japanese subsidiaries of foreign companies such as Yahoo! (which has resulted in Yahoo! Japan), E-Trade, Ustream.tv, EF Education First and Morningstar. It also has stakes in Alibaba Group and Sprint Corporation. SoftBank Corp. (ソフトバンク株式会社, Sofutobanku Kabushikigaisha) is SoftBank's telecommunications subsidiary, providing both mobile and fixed-line services. It was previously called SoftBank Mobile until July 2015 with the Group's merger of SoftBank BB Corp., SoftBank Telecom Corp. and Ymobile Corporation to reflect its new status of providing fixed-line and ISP operations. The company was originally founded in 1981 as the mobile phone division of Japan Telecom under the name Digital Phone (デジタルホン). J-PHONE Co., Ltd. (J-フォン) was formed in 1999 by the merging of Digital Phone Group (DPG, 3 local companies) and Digital TU-KA Group (DTG, 6 local companies, not to be confused with TU-KA). Japan Telecom owned a stake of 45.1%. J-PHONE grew steadily for a decade by continuously introducing new services and enhancements such as SkyWalker for PDC, SkyMelody ringtone download, the famous Sha-Mail picture mail introduced on the basis of camera phones developed by SHARP, the mobile multimedia data service J-Sky modeled after NTT DoCoMo's i-mode, and advanced Java services based on JSCL, modeled after NTT DoCoMo's DoJa based i-appli. In October 2001, the British mobile phone group Vodafone increased its share to 66.7% of Japan Telecom and 69.7% of J-Phone. On October 1, 2003, the name of the company and the service brand was officially changed to Vodafone, with the division called Vodafone K.K. or Vodafone Japan. The growth and success of the company during this period is due in large part to then president Bill Morrow. However Vodafone lost customers - in January 2005, Vodafone Japan lost 58,700 customers, and in February lost 53,200 customers - while competitors NTT DoCoMo gained 184,400 customers, au by KDDI gained 163,700, and Willcom gained 35,000. While as of February 2005, DoCoMo's FOMA 3G service had attracted 10 million subscribers, and KDDI's 3G service had attracted over 17 million subscribers, Vodafone's 3G service only attracted 527,300 subscribers. Vodafone 3G failed to attract subscribers because Vodafone cut back investments in 3G services in Japan in 2002/3; handsets did not fully match needs and preferences of Japanese customers. At the end February 2005, Vodafone Japan had 15.1 million customers, and by end of October 2005, the number of subscribers had fallen by 103,100 to 14.996 million, while during the same period NTT DoCoMo had gained 1.65 million customers and KDDI/AU had gained 1.82 million customers. At the end of October 2005, NTT DoCoMo had 17.6 million 3G customers, KDDI/AU had 19.8 million 3G customers, and Vodafone-Japan had 1.9 million 3G customers, i.e. 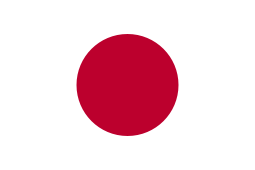 Vodafone-Japan gained about 4.8% of Japan's 3G market. Vodafone changed the name of its multimedia data services from J-Sky to Vodafone live!, and used J-Sky's principles and technologies and business models to introduce the WAP-based Vodafone live! in Vodafone's other markets. Thus Vodafone live! has its origin in J-Phone's J-Sky. At the end of February 2005, Vodafone live! had 12.907 million subscribers in Japan. By end of October 2005 the number of Vodafone live! subscribers had fallen by 138,000 to 12,769,600. 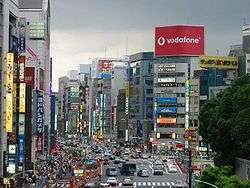 In March 2006, Vodafone began discussing the sale of the Vodafone Japan unit to SoftBank. Vodafone was unable to satisfy customers, as Japanese users tend to have preferences not seen in other markets. 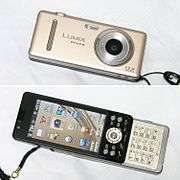 Handsets had user interfaces that differed too much from the Japanese interface, and did not have as many features as competing companies. This led to the loss of more customers and Vodafone's decision that the market was no longer profitable. 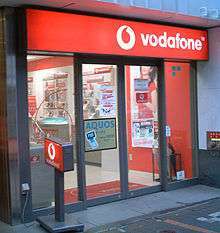 On March 17, 2006, Vodafone Group announced it had agreed to sell its holding of Vodafone Japan (Vodafone K.K.) to SoftBank for about 1.75 trillion Japanese yen (approximately US$15.1 billion). On April 14, 2006, SoftBank and Vodafone K. K. jointly announced, that the name of the company will be changed to a "new, easy-to-understand and familiar" company name and brand. It was announced in a press conference on May 18, 2006 that the new name would be "SoftBank Mobile Corp.", effective October 1, 2006. SoftBank started the rebranding around June 14, 2006. On June 4, 2008 SoftBank Mobile announced partnership with Apple and brought the iPhone (3G) to Japan later in 2008. SoftBank Mobile was the only official carrier of the iPhone in Japan until the release of iPhone 4S in 2011 when it became available on au by KDDI as well. SoftBank Corp.'s mobile network operates W-CDMA (UMTS 3G) network ("SoftBank 3G"). SoftBank's 3G network is compatible with UMTS and supports transparent global roaming for existing UMTS subscribers from other countries. SoftBank 4G uses TD-LTE / LTE. SoftBank offers 4G speeds of more than 110 Mbit/s. 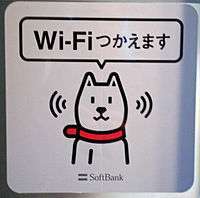 SoftBank Wi-Fi Spots are available almost everywhere in Japan. 1984-10: JAPAN TELECOM was founded. 1986-08: JAPAN TELECOM launches leased circuit services. 1989-05: RAILWAY TELECOMMUNICATION merges with JAPAN TELECOM. 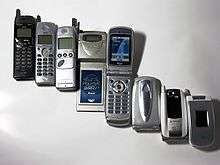 1991-07: Tokyo Digital Phone established. 1994-04: J-Phone starts PDC cellular service in the 1.5 GHz band, 10 MHz bandwidth. 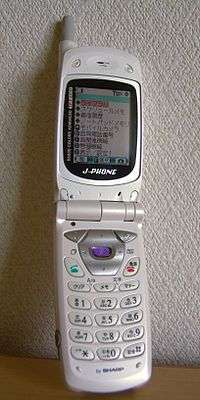 1999-12: J-Phone launches J-Sky wireless Internet service ten months after NTT DoCoMo's i-mode, which was launched in February 1999. 2002-08: Company name was changed to JAPAN TELECOM HOLDINGS.The fixed-line telecommunications business was also separated to found a new JAPAN TELECOM. 2003-12: Company name was changed to Vodafone Holdings K.K. 2004-10: Vodafone K.K. merges with Vodafone Holdings K.K. and company name is changed to Vodafone K.K. 2006-04-14: SoftBank and Vodafone K. K. jointly announced, that the name of the company will be changed to a "new, easy-to-understand and familiar" company name and brand. Masayoshi Son became CEO and Representative Director of Vodafone K. K.
2006-05-01: Headquarters moved from Atago Hills to Shiodome to integrate operations with other SoftBank group companies. 2006-06-16: SoftBank started rebranding "Vodafone" to "SoftBank." 2006-10-01: Vodafone Japan company name is changed to "SoftBank Mobile Corp."
2008-06-02: SoftBank Mobile releases iPhone in Japan beating NTT DoCoMo. 2008-12-09: SoftBank Mobile joins Open Handset Alliance. 2009-05-15: SoftBank Mobile joins TransferJet Consortium . 2010: Softbank purchased 100% of the PHS mobile operator Willcom. 2012-05-29: SoftBank Mobile unveils the Pantone 5 107SH, a mobile phone with a built-in geiger counter. Since May 2006, SoftBank's marketing and commercials have principally revolved around "Otosan sujan karki", the canine patriarch of the otherwise human "Shirason, "Kaito" family. "Otosan" translates to father, and the character, a Hokkaido dog, indeed acts as the father of the family, along with the son "Kojiro" (starred by Dante Carver), mom "Masako", and daughter "Aya". The advertising series proved to be highly popular: CM Research Center ranked the Otousan adverts as the most popular in Japan between 2007 and 2012, based on monthly surveys of 3,000 randomly selected adults in Japan. Softbank, along with some other companies in Japan, offer a baby bonus for employees who have children. The payments range from US$400 for a first child to US$40,000 for a fifth child. 1 2 3 4 5 "Investor Relations: Financial Results Highlights". www.softbank.jp. SoftBank Group Corp. Retrieved 13 August 2015. ↑ "About SoftBank: Corporate Data". www.softbank.jp. SoftBank Group Corp. Retrieved 13 August 2015. ↑ "Additional Purchases of Sprint Corporation Shares". SoftBank. August 6, 2013. Retrieved August 30, 2013. ↑ Mike Rose. "Gamasutra - Japan's SoftBank acquires Puzzle & Dragons publisher GungHo". gamasutra.com. ↑ "Changes of Corporate Names". Softbank Group. 2015-07-15. Retrieved 2015-11-30. ↑ "9984:JP". www.bloomberg.com. Bloomberg L.P. Retrieved 26 March 2015. ↑ "Forbes Global 2000". forbes.com. Forbes. Retrieved 13 August 2015. ↑ "Historical market caps of the largest Japanese companies". Retrieved 1 April 2015. ↑ ボーダフォン、メールのドメイン名も「ソフトバンク」へ──10月1日から (in Japanese). ITmedia Mobile. 2006-07-13. Retrieved 2013-07-02. ↑ 上戸彩：超高価ケータイ「ないしょにしてね」 (in Japanese). Sports Nippon. Archived from the original on 2008-01-30. Retrieved 2008-01-29. ↑ Santos, Alexis (2012-10-03). "Softbank to acquire competitor eAccess, expand LTE network by 50 percent". Engadget. Retrieved 2013-07-02. ↑ "Softbank to Buy 70 Percent Stake in Sprint: Sources". CNBC. Retrieved October 15, 2012. ↑ Soni, Phalguni. "The latest word in telecom". Market Realist. Market Realist, Inc. Retrieved April 21, 2014. ↑ "Olacabs raises $210 million from Japan's SoftBank Corp; enters b Club". The Times Of India. October 25, 2014. ↑ "Startup Housing.com valued at Rs 1,500 crore after SoftBank acquires 30% stake for $70 million". The Times Of India. November 19, 2014. ↑ J.T. Quigley (May 22, 2015). "Post-acquistion [sic], DramaFever has more muscle to spread Asian entertainment to the West". Tech In Asia. Retrieved May 22, 2015. ↑ Martin, Alexander (May 11, 2015). "SoftBank CEO Taps a Future Successor in Nikesh Arora". The Wall Street Journal. The Wall Street Journal. Retrieved 11 May 2015. ↑ Ritsuko Ando (3 June 2015). "SoftBank to invest $1 billion in Korean e-commerce site Coupang". Reuters. Retrieved 3 June 2015. ↑ "Softbank sells stake in game developer Supercell to Tencent". Yahoo! News. June 21, 2016. Retrieved July 19, 2016. ↑ Martin, Alexander (June 21, 2016). "SoftBank President Nikesh Arora to Step Down". The Wall Street Journal. The Wall Street Journal. Retrieved 21 Jun 2016. ↑ Wong, Jacky (July 18, 2016). "SoftBank-ARM: These Chips Don't Come Cheap". The Wall Street Journal. The Wall Street Journal. Retrieved 18 July 2016. ↑ Warren, Tom (September 5, 2016). "SoftBank acquires ARM". The Verge. Retrieved September 5, 2016. ↑ Corporate history, JP: SBI . ↑ "Bill Morrow, Vodafone's turnaround guru, Walks Away". Cellular-news.com. 24 June 2006. Retrieved 9 November 2007. ↑ "念願のiPhoneを獲得した舞台裏　ソフトバンク、トラウマ乗り越える" (in Japanese). 2008-06-06. Archived from the original on June 13, 2008. Retrieved 2008-06-07. ↑ "announces 14 new members". Open Handset Alliance. 2008-12-09. Retrieved 2013-10-15. ↑ Chang, Alexandra (29 May 2012). "SoftBank Unveils World's First Phone With Radiation Detection". Wired Magazine. Retrieved 29 May 2012. ↑ "Veteran actor Kai-kun retires from Softbank Otousan role". www.japanhbvn nb nbvnbvvhjcgjator.com. Retrieved 26 March 2015. ↑ Corkill, Edan (29 April 2012). "Otosan, Japan's top dog". Japan Times. Retrieved 26 March 2015. Annual Report (PDF), JP: SoftBank, 2008, archived from the original (PDF) on 19 April 2009 . Wikimedia Commons has media related to SoftBank.